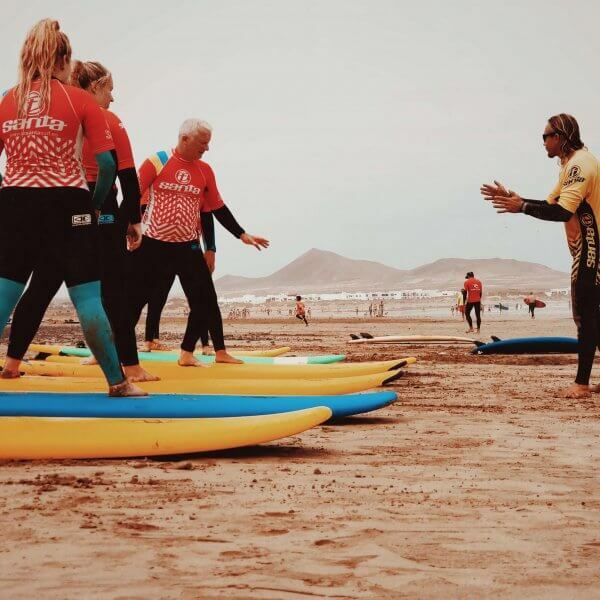 With our Surf Lessons from one day you can enjoy our lessons in La Caleta de Famara. Good weather throughout the year, great waves and a great human team is with you always and learn and enjoy every moment to the fullest. Group Lessons: Most of our lessons are group with an one instructor for every 6 students. Aimed at children, youth and adults from beginner to advanced. Private Lessons: If you want, you can have individualizedlessons, an instructor just for you. For all ages and all surfing level. 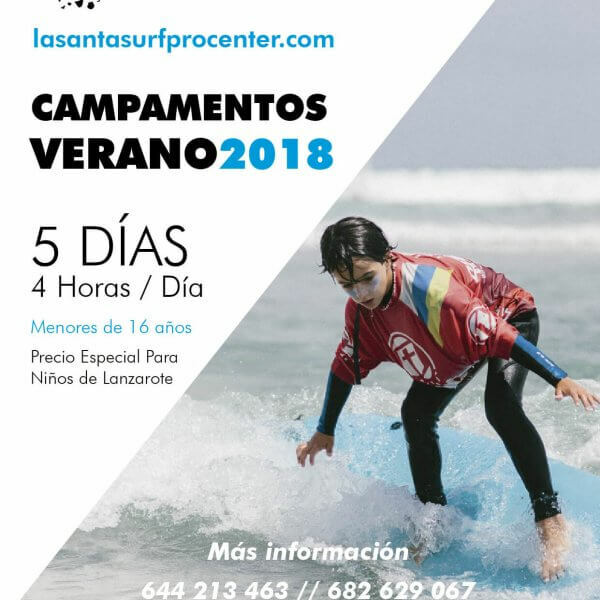 Discover Lanzarote with La Santa Surf Procenter. Will Visit the best spots on the island. 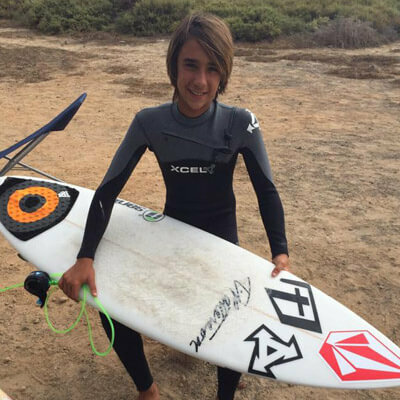 Will surf with La Santa Surf riders who know the best waves of the island. 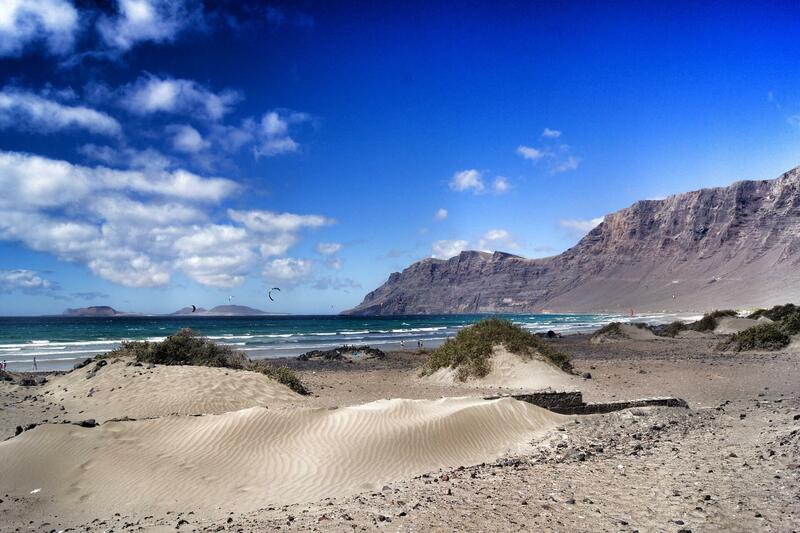 The surftrip in Lanzarote is aimed at surfers with intermediate or advanced level. More info. EquipmentAll materials necessary for your lessons. Surfboard, neoprene, shirts and more. Transport If you need transport from your accommodation we can fetch and carry. From almost any point on the island. Accident insurance So you only have to worry about learning and having fun. Beach picnic Halfway through surf lessons we always take a break to regain strength! Graduate instructors Official qualification for surf courses, first aid and secure water rescue. Maximum 6 students per instructor 1:6 We guarantee that our students have quality lessons. 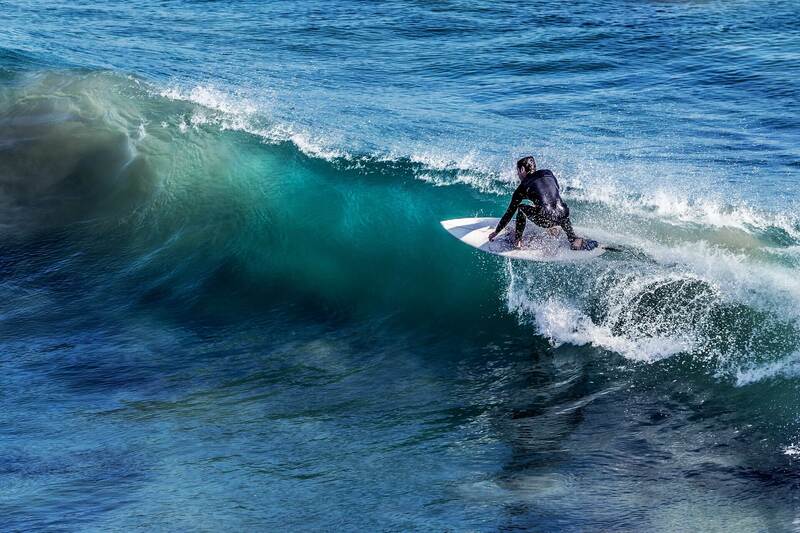 Lessons for all levels Whether you’ve never picked up a table as you surf big waves, we are at your service. Equipment in good condition Our material is always in good condition and clean. 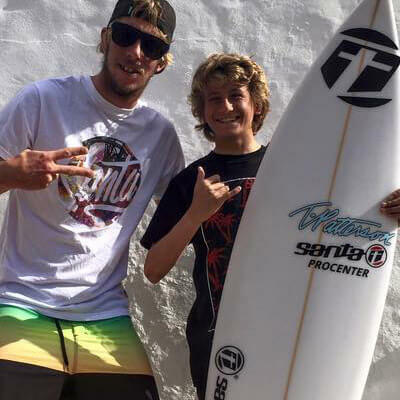 a href=”https://lasantasurf.eu/” target=”_blank”>La Santa Surf is a brand born on the beach among surfers, with over 16 years of existence. We have a clear feelings towards the sport, and every year we create new projects and challenges remarkable for their quality and personal contact. We want you to be part part of this great family that grows every day more and more. Share with us freedom, overcoming and respect that evokes the brand. We operate as an organization in which everything is important and anyone who is part of her is partaker of his steps. La Santa Surf lives, breathes surf Lanzarote and the Canary Islands are Surf.